Manufacturing specialty parts to spec as well as supporting youth-based manufacturing programs have kept Marten Machining in Wisconsin strong and growing in the U.S. for over 30 years. This now large job shop continues to invest in equipment and area youth and attributes its use of five-axis machining as a significant part of its success. And that they have done. While currently manufacturing parts to order using mostly five-axis and a few specialty machines for a variety of customers, those at Marten also offer complete service including knowledge and support to develop and design new manufacturing strategies that solve engineering challenges and problems. This team of trained staff offer added value in a constantly changing industry. 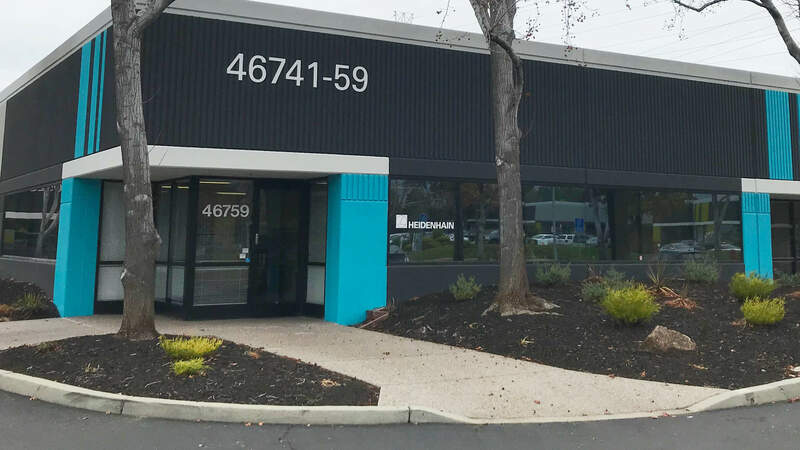 Now using eleven five-axis HERMLE milling machines that are coupled with HEIDENHAIN’s TNC controls, Marten’s facility produces parts around the clock for many industries, including medical, aerospace and precision tools to name a few. 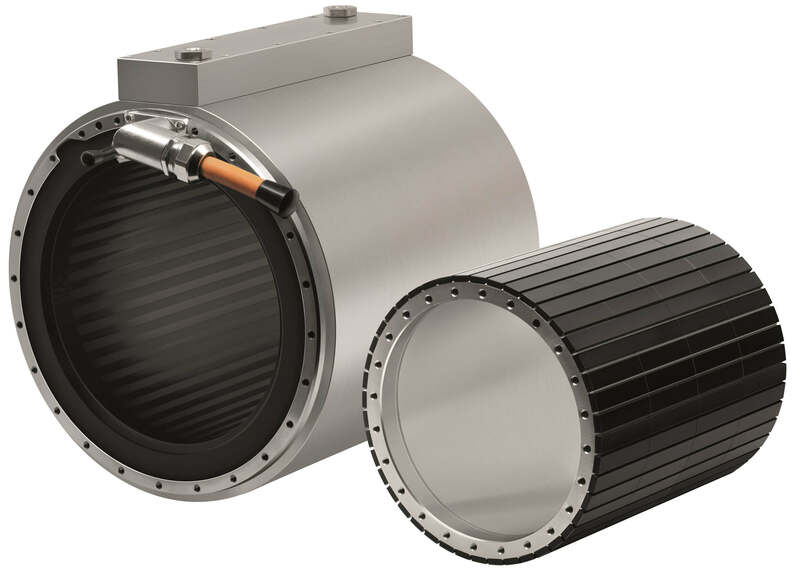 Serving as a source for many companies that don’t have the time or resources to design and produce parts themselves, some complex, Marten is assuming that role for many. “What has driven our growth even from the beginning is our ongoing commitment to invest in resources to produce specialty high tolerance parts,” explained Marten. “From here, the business took off,” added Marten. 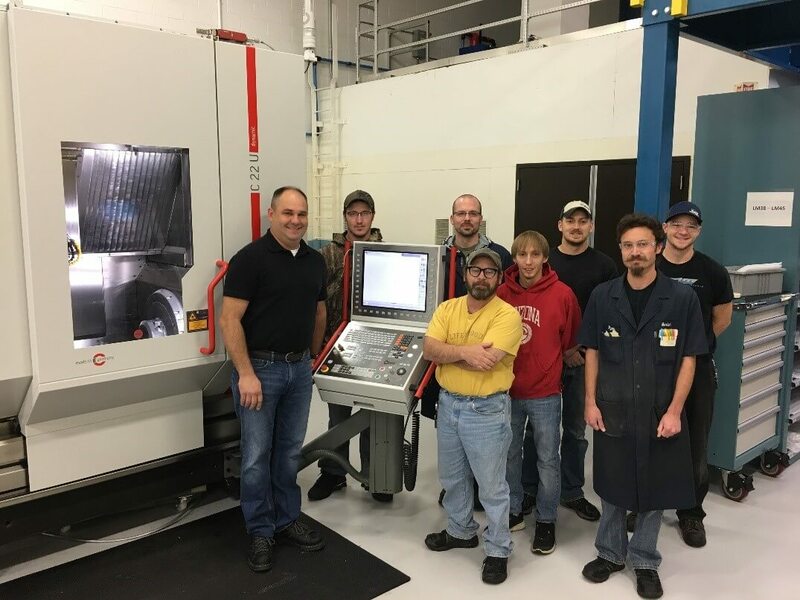 With more jobs, came the investment of three more HERMLE machines with the newest in HEIDENHAIN controls to handle the work, and in 1989, Marten Machining built the first section of their current large facility in Stevens Point, WI, moving in the following year. Quality work was followed by more job requests, and in 1998, Marten staff invested in their first five-axis CNC machine, another HERMLE mill with a HEIDENHAIN control with even more advanced capabilities. “These machines are just easy to understand and use,” said Marten. “The HEIDENHAIN control has a whole keyboard right on it, and has a lot of ergonomic and visual prompts. Creature comforts that our operators like, and are helping to make us successful. “Beginning five-axis milling was indeed our next milestone,” added Marten. At that time, David explained that Marten manufactured some parts that were full dynamic five-axis milling, but also used the machine for five-sided machining so that parts that were previously done in two or three operations by changing the work holding and part orientation were now done in one operation. Then, Marten was machining many assemblies for medical parts, as well as fixtures for assembly, test and laser-welding. The successful transition from three-axis to five-axis had begun. In 2004, when the opportunity to manufacture tough-to-machine radiation shielding that requires long cycle times presented itself, Marten staff soon realized loading material every few hours was tedious so they invested in their first five-axis HERMLE/HEIDENHAIN machine with an automated Erowa pallet. “Finally, we were able to program all of this, and let it load and run automatically on nights and weekends!” explained Marten. Continuing to grow and invest in similar equipment, Marten now has many HERMLE/HEIDENHAIN machine workhorses with pallet automation on site, as well as some additional finishing/specialty machines such as CMMs. “We have three more five-axis HERMLE machines on order now, and these will all have the newest HEIDENHAIN TNC 640 control on board with even more capabilities,” added Marten. With state-of-the-art equipment in place, successful manufacturing businesses also require knowledgeable operators to handle the incoming workload. 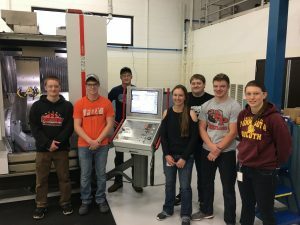 Marten management understands that and continues to be devoted to many area youth-based manufacturing training programs in order to attract educated employees. “Not only did we have seven apprentices work with us this past year, but we also volunteer at the local high school’s machine shop program, as well as partner with regional tech schools, and participate in the local school district’s ‘Heavy Metal Tours’ program,” said Marten. The fourth annual Heavy Metal Tour was held in central Wisconsin this October where over 100 sixth and seventh graders were bussed to various manufacturing facilities to see them in action. At Marten, besides the annual cutting demonstration at a manual lathe given by Marten founder Alan, control stations are set up where CNC instruction and programming experiments can be done. “Young people are the future of manufacturing,” said Marten. “And we’re seeing some real energy and interest here to grow this business,” who added that the learning never stops. Even at Marten, equipment training is set up as a regular program. That, coupled with the keeping atop of the latest in manufacturing equipment advancements is keeping Marten viable and very competitive in the U.S. manufacturing sector.